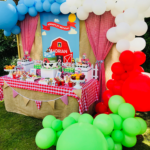 We pride ourselves with an excellent reputation as one of the leading Children’s Party Planning companies in the UK. We love to read feedback from our clients and here is a selection of our latest reviews. For a working mum who wants to splash a bit on a great party, Bubbles Crew was spot on. They went the extra mile - no question, and the whole thing was absolutely stress free. Tom knows what he is talking about. When I say this, it is a big complement... The kids had a blast, the cake was very inspirational (a Pirate Minions cake! My daughter's two favorite themes combined very creatively) and really yummy too. They also served fruit for children which went well with health conscious parents. It was stylish but yet had the down to earth feeling which I loved. We had such a wonderful experience with Kids Imagination! This team should be given full recognition of their flawless service, from the conception of the party itself through to its delivery and beyond. I had been sceptical about overdoing things for my young son but Kids Imagination knew exactly how to pitch it and I can honestly say he had the most wonderful time and I shall treasure those smiles forever! The team was so helpful and always available to discuss ideas and concerns in the planning process, nothing was a problem and my mind was set at ease. They were punctual when setting up and totally delightful all whilst producing the most beautiful party setting. I didn't lift a finger! We have had wonderful feedback from friends and family, I highly recommend Kids Imagination. THANK YOU SO MUCH! We can't wait for the next party with you! Bubbles crew did a truly fabulous job in organising my daughter's first bday party recently. 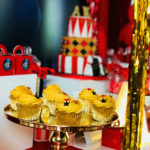 They managed the decoration, cake, children's catering, gift bags and entertainment. Everything was managed to perfection and they made sure that my little girl had a magical day. Food was so delicious and top quality. They arrived early at the venue and made sure everything was ready by the time we arrived. We never had to worry at any point. Very professional and delivered way beyond our expectations. The entertainer dressed in princess Belle was such fun with kids of all ages. I have no hesitation in recommending them highly and will be returning in future. A memorable 'first' bday, thanks to the Bubbles Crew we made beautiful memories for life! 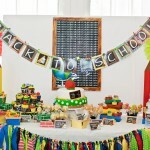 The most professional and accommodating party planners ever! The length they go to in order to make you feel comfortable and stress free is incredible. They are so good with children and nothing is too much to ask. Highly highly recommend!! My twin daughters had the BEST 2nd birthday ever. Everyone at the party were blown away and can't stop raving about the Bubbles Crew! Roll on birthday number 3! Excellent party! Professional company, great to do business with! They listen rather than dictate! On time and ran the party! Food good and plenty of it! And to cap it all off they are nice people to be with! Great company! We can't thank them enough for making our party so special and stress-free. Tommy is the best and a real pleasure to deal with. I would say a life saver for a working mum. Look forward to our next party with Bubbles Crew! Everything was absolutely perfect. My 4 year old was gobsmacked at the display and decor and Tom was so good at making him comfortable. The parents also ended up having a super time, since the kids were so well taken care of. The theme was based around a US basketball team. They had done their research and they did not disappoint!I look forward to working with them again next year! Highly recommend the Bubbles Crew for kids parties. Tom was so friendly and helpful throughout. Arrived early to set up. The feature table looked fab! Entertainers were great with all the kids at our twin boys 3rd birthday party. They knew exactly what we wanted and really took the stress out of organising. The entire experience was amazing from start to finish. The bubbles crew was extremely responsive to all my questions and did the most amazing job accommodating my requests during the planning phase. 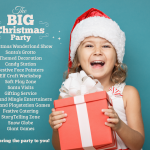 They were able to organise my three boys birthday party all in one place at the same time split into groups with different themes and entertainers. All the boys had so much fun and thought it was the best birthday they’ve ever had. Meanwhile I was actually able to mingle with the parents and socialise without having to worry about the kids, food, drinks, etc. Overall, it was a stress-free experience! I couldn’t recommend Tom and his crew highly enough. Such a lovely great group to work with! We can’t thank you more for such an excellent party. Thank you for making sure everything is perfect we will never forget this day ! !Your experience and care is everything that matter ! Our 5 year old daughter had a frozen theme party in June. She and her friends had a blast. They haven't stopped talking about it.May I say Thomas is an exceptional party planner. He is meticulous, reliable and everything is done to the highest standard. 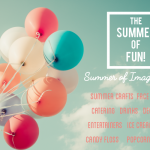 The whole crew were amazing, kids enjoyed the entertainment, the beautiful spread (party bags, lunch boxes ,the amazing cake, and the extra treats Everything turned out just as we imagined if not more.Anyone looking for a party planner, please contact Thomas.... he is amazing. We are looking forward to next year 😁Thanks Bubbles Crew, you made my daughters day memorable. We can't thank you enough. The best party ever!!! Before using the services I saw the pictures and i knew it would be nice. But I didn’t expect to be so professional the way it was. The decorations were impeccable and beautiful!!! Tom has an Excellent taste.. The location he recommended was beautiful and the service was amazing. The kids and the grown ups had a great time.I didn’t get involved with anything I literally just showed up for the party. I would definitely recommend bubbles crew to anyone that wants a sofisticated and fun party! Thanks for making my daughters birthday so special!